Byron Private was a literal lifeline for me. From the call made to the Clinical Director to the initial carer who picked me up (never to be forgotten :-) to the clinical care of the psychiatrist, naturapath and psychologist, to the carers that have had their own life suffering and challenges making them human, to the chefs that nurtured me from within, I was given a reflection to work with for my own evolution. Humans suffer. It’s a given but we can also ‘be’ with life and choose a path of less suffering and experience joy and love. It starts with self and then we realise we are the same as every other living being. We are all addicted to things...this also makes us human yet we can work with suffering and transform that ...truly. To give special mention to one aspect of BP is challenging because it is more than the sum of its parts. That’s the magical part. Words fail to express the genuine gratitude to the full experience. That being said, the community of clients who were brave enough to come themselves would have to be what allowed a kindred spiritual connection and further growth. We are all so different on the surface yet really the same when we allow ourselves to realise it. The structure of the programming was also superb. The equine therapy (loved and learned so much about myself) and acupuncture and yoga offered another holistic part. Sharing rooms was also a gift even when it didn’t seem so. The accomodation was clean, environmently friendly and humble but beautiful. The daily coffee and sea sanctuary was also very much appreciated and allowed for transition from the temporary abode. Kylie, thank you for having the ‘seed’ to create an environment of true healing. The Byron landscape is a perfect setting to do this. I’m forever deeply thankful to you and your team and would recommend BP to anyone who is doubting their true nature and purpose on this earth. "With the patience, kindness, and understanding of the amazing carers there, I started to accept my reality and move forward in my recovery to heal the broken fragments of my life." By the time I arrived at Byron Bay Private (BBP) I was broken. I knew I was powerless over my addiction and I was spiralling out of control. As a single Mum with no other family in the country & the sole breadwinner, who had also recently lost her job - the outlook was terrifying. I couldn't see how a few short weeks in BBP could turn my life around. Never, have I been more wrong! As hard as it was to get myself there, the reward has paid back tenfold - & it still is!. What can I say - Byron, the Centre itself & the staff are all amazing: The professionalism and the passion to aide recovery is ever present. From the clinical input through to ocean swims and beach walks, all aspects of mental wellness are catered for. I cannot stress enough how amazing each and every carer is - their commitment, compassion and knowledge of addiction & recovery is incredibly reassuring. Even though my time there was short, I gained insight, strength and courage so I could tackle each new day clean and sober. I also left equipped with the tools and resources necessary to sustain a clean and sober life. I am forever grateful to Byron Bay Private & the wonderful people that aided my recovery. If you're in need of support, I cannot recommend Byron Bay Private highly enough. Byron Private Treatment Centre are nothing but professionals. Being a business owner myself I cannot stress to you the amount of value they give back to you by way of service and through the provision of their unique treatment program. Based on my research I could not find a treatment centre that covered a holistic range of services to meet my needs. However finding Byron Private Treatment Centre was a God send. For instance the careers were trained staff who could relate to my circumstances, many of whom had been in a similar position to me at some point in their life and were now in recovery. They provided a full range of medical professionals including Doctors, Nurses, Physiologists, Psychiatrists and even a personal chef to cook our dinners. I was never bored, we went to the beach each day, did PT, group yoga and could even put in for special events such as surfing or bush walking and anything else we liked. In fact and although I do not need the services of a rehabilitation centre anymore I still can't help but have fantasies about coming back to Byron Private Treatment Centre just for one more week to check out of the world just once more again. Whats more impressive is that I still get regular check up calls to see how I am going nearly one year after I completed the program. 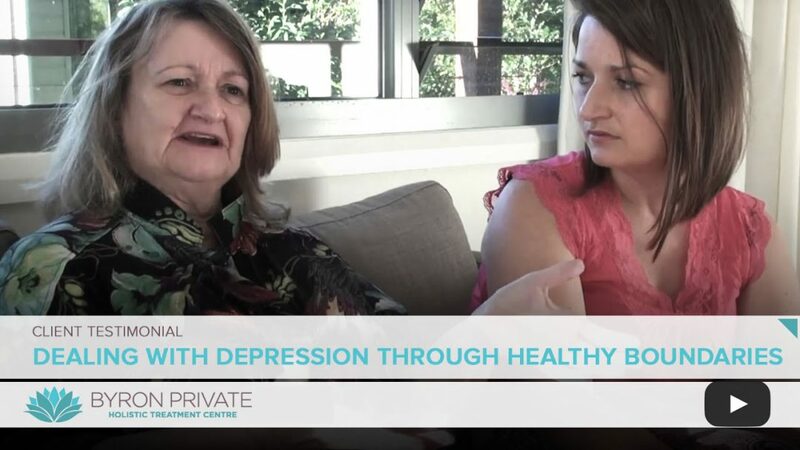 If you need help I cannot stress to you enough that checking into Byron Private Treatment Centre will be one of the best decisions you will make in your life. There is so much more I could write here however I think I could easliy take up an entire page so I would like to close off with paying credit to Byron Private Treatment Centre for my recovery, you helped saved my life. "I quickly learnt that the main focus needed to be on my recovery. Byron Private as a whole has given me an opportunity to see how much i can enjoy life without drugs and alcohol and i feel committed to my new life in recovery."